This opaque cropped yoga pant is made from our newly launched HDB (High Density Bamboo) fabric. Without compromising on the soft lightweight feel of our pants, we've provided more support and density into the perfect fitting pant. The high waist line, perfectly shaped sew lines provides a sculptured look that's flattering and practical in all forms of yoga. Breathe easy and look good in an eco-friendly plant based pant that provides all the support you'll need in your active living. 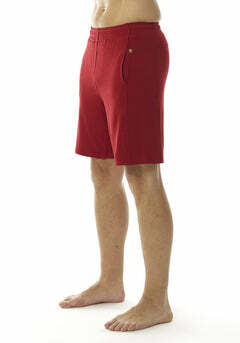 Keep the thighs warmed up in this biker length short in our spanking new High Density Bamboo. Offering 33% more support than our regular bamboo yet retains the legendary soft touch, breathability and lightweight nature of all our bamboo fabrics. So gear up and getting spinning or head into a yoga class, with a short that's crafted to flatter and perform. Enjoy it's high waist band that hugs the tummy and hips without making you feel restricted. The shorts are designed with a moon stitching at the back to help sculpt the female shape offering increased support with an elegant look.